A group of unions and advocacy organizations are calling for state regulators to take a hard look at the growth in power and market concentration of large health systems in Connecticut – and what that means for patients – when they review the Yale New Haven Health System’s proposed acquisition of New London’s Lawrence + Memorial Hospital. 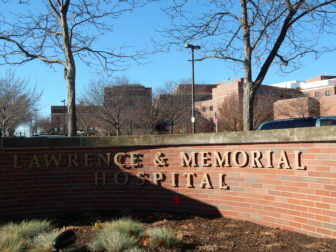 “The acquisition of Lawrence + Memorial health by the Yale-New Haven Health Services Corporation is a pivotal opportunity for stemming the growth of monopoly in Connecticut’s health care market and limiting the ill effects of consolidation,” they said in a report issued Tuesday by seven groups: the unions AFSCME Council 4, AFT Connecticut, UNITE HERE! Connecticut, and New England Health Care Employees Union, District 1199, SEIU; the Connecticut Citizen Action Group; the Connecticut Health Policy Project; and United Action Connecticut. The report raised specific concerns with the transaction itself, warning that it could give the Yale system monopoly-like power to raise prices. As health care changes, can independent hospitals survive? It also raised broader concerns about Connecticut’s changing health care landscape. “The changes to the market statewide pose high potential risks to patients,” the authors wrote. The growth of health systems that control multiple hospitals and physician practices has been occurring for years nationally. The trend came later to Connecticut but has recently accelerated, sparking considerable controversy in a state long dominated by locally controlled hospitals and independent physician practices. Many hospital officials say joining larger organizations is key to the survival of smaller hospitals as they try to cope with reduced federal and state payments for care, and changes in care delivery and payment methods viewed as favoring those with a wider base of patients and ties to different types of health care providers. But critics of consolidation warn that having fewer entities responsible for more of the medical care in the state can lead to reduced choice for patients and higher prices – large systems tend to have more leverage when negotiating with private insurers – without improving quality. As policymakers grapple with the changing health care landscape, some critics have also pointed to the recent actions of another large system, Hartford HealthCare, the parent of five hospitals, which has sought to scale back the services offered at Windham Hospital. While Hartford HealthCare officials say the changes are needed to help the financially struggling hospital survive, local leaders and unions say they could threaten access to care in an underserved part of the state. “Because of what is happening in Windham, it’s crucially important to take a very, very hard look at what’s being proposed by Yale,” said Ann Pratt, director of organizing at Connecticut Citizen Action Group. A state law passed earlier this year imposes new regulatory requirements for hospital transactions involving for-profit or large nonprofit health systems, but those provisions didn’t take effect until Dec. 1, and don’t apply to applications filed by hospitals before that date. 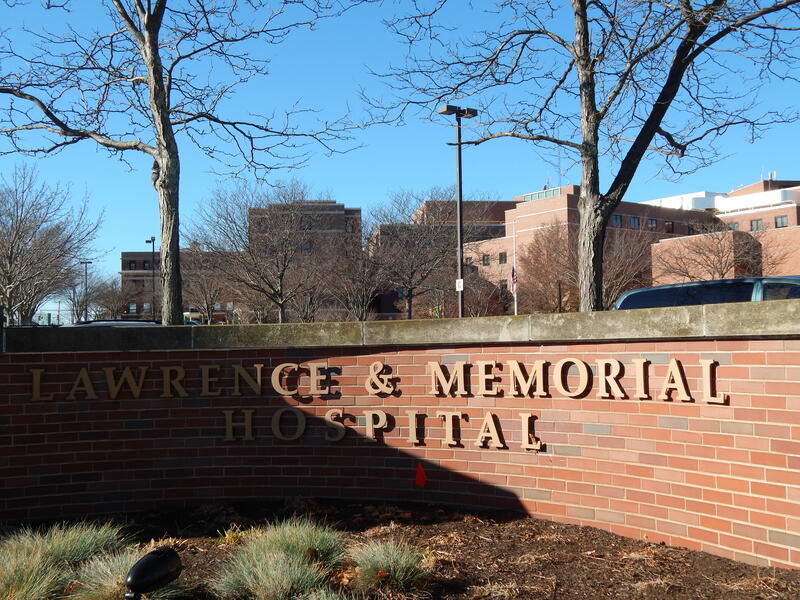 There are now four such proposals pending before state regulators that were filed before Dec. 1, covering transactions involving Lawrence + Memorial, Waterbury, St. Mary’s, and the parent company of Rockville General and Manchester Memorial hospitals. In their application for approval of the deal to the state Office of Health Care Access, the Yale system – which includes Yale-New Haven, Bridgeport and Greenwich hospitals – and L+M Corporation said both organizations and communities would benefit from the affiliation: both organizations would be better-positioned to maintain their charitable missions, patients would have access to more providers, and the organization would be better positioned to provide more cost-effective services in the L+M service area. The application also said there are no plans to change the price structure as a result of the proposal, and said competition would not be reduced. Hospital officials noted that the proposal – which they characterize as an affiliation, not an acquisition – will go through significant vetting by federal and state regulators in both Connecticut and Rhode Island, since L+M’s parent company also owns Westerly Hospital. “The way that the process is going to take place is going to allow for ample dialogue and discussion before anything is approved,” L+M spokesman Michael O’Farrell said. The groups that issued the report stopped short of urging regulators to reject the proposal, but said they should carefully scrutinize it. They called for a cost and market analysis and an examination of whether the Yale system’s most recent acquisition – the 2012 purchase of The Hospital of St. Raphael in New Haven – led to cost increases. Connie Holt, secretary-treasurer of UNITE HERE! Local 217, which represents hotel and food service workers, said her union has a clear reason to be concerned about consolidation’s potential to raise prices. Many of her union’s members now face out-of-pocket health care costs, even with private insurance, that outpace their ability to pay. The union’s health and welfare fund offers a plan for food service workers that has made considerable efforts to ensure that workers stay healthy, use preventive care and avoid unnecessary emergency room visits. But she said that progress toward containing health care costs is undermined if prices for care continue to rise. The report includes an analysis of market concentration, based on inpatient discharge data from the 2013 fiscal year. Statewide, the Yale New Haven Health System’s three hospitals accounted for 27.1 percent of discharges, while Hartford Healthcare’s five accounted for 20.7 percent. The analysis focused on five geographic regions: the 55-town local service area for the Yale system; Yale-New Haven Hospital’s 34-town local service area; the 15-town Greater New Haven region; L+M’s 10-town primary service area and its 20-town secondary-service area. All five already surpass the threshold the federal government uses to define a highly concentrated market, the report said. And four of the five markets would be significantly more concentrated if L+M were to join the Yale system – by a degree that federal standards deem likely to lead to an impermissible increase in market power, the report said. Acquiring L+M would raise the Yale system’s percentage of inpatient discharges statewide to 31 percent, using 2013 data, according to the report. In L+M’s primary service area, the Yale system would represent 83 percent of discharges. The Yale system already treats the second-highest volume of patients in the L+M primary service area, and combining the two networks would leave the system with monopoly pricing power, the report said. The report also suggested that the Yale system is “quietly acquiring pieces” of Milford Hospital, and urged regulators to review the L+M proposal “in tandem” with a takeover of Milford. Milford, which has struggled financially in recent years, is now affiliated with Yale New Haven, but representatives for both Milford Hospital and Yale have said recently that Milford Hospital intends to remain independent. Yale New Haven spokesman Vin Petrini noted that matters of market competitiveness are reviewed by the Federal Trade Commission and state attorney general. “It just hasn’t been an issue to date,” Petrini said. He added that, compared to national health systems, Yale’s is relatively small. Petrini said the bulk of the Yale system’s footprint comes from Yale-New Haven Hospital, an academic medical center with more than 1,400 beds – by far the largest in the state and nearly three times the size of Greenwich and Bridgeport hospitals combined. “When you talk about percentages, I don’t think that tells the full story,” Petrini said. The report acknowledged that some level of consolidation is inevitable without “radical change” to the way financially troubled hospitals are paid and supported. Stephanie Johnson, a sleep tech and president of L+M Hospital LPN/Techs, part of the union AFT Connecticut. But it also noted that, unlike some recently acquired hospitals, L+M isn’t in dire financial shape. The leaders of the unions representing L+M employees said they have questions about what could happen if the deal goes through. But they emphasized that they haven’t yet taken a position on the proposal. If their questions are answered, they said, they could potentially support the proposal. 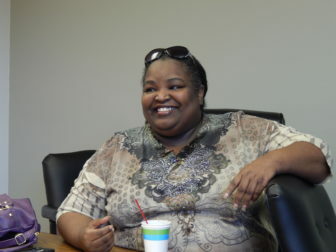 “We’re concerned about what happens to our patients and the care that they’re able to access,” said Stephanie Johnson, a sleep lab tech and president of L+M Hospital LPN/Techs, part of the union AFT Connecticut. Lisa D’Abrosca, a registered nurse and president of the union L+M Hospital Nurses, said the organization wanted to ensure that Yale wouldn’t come in, take over the community hospital and gut its services or raise prices. “We’re not hearing any guarantee that prices aren’t going to go up,” she said. Union leaders also expressed concern that the proposal would allow Yale to control the New London hospital’s board. Lisa D’Abrosca, a registered nurse and president of L+M Hospital Nurses, part of the union AFT Connecticut. O’Farrell described the deal as a way for L+M to maintain its local identity and services – and to potentially add more. Earlier this year, L+M CEO Bruce Cummings said that changes in federal policies, tightening government payments, and growing demands for capital convinced him the hospital needed the resources and capabilities that come with being part of a larger system. And O’Farrell said the board determined that now was the right time to seek a partner. The hospital could potentially be in a weaker position, or the rest of the market could be less advantageous, if L+M waited and then decided it needed a partner. The application filed with state regulators said L+M didn’t view joining Hartford HealthCare as a viable option since that company includes Backus Hospital in Norwich. It also considered out-of-state hospitals, but had concerns about patients migrating out of Connecticut, and said distance could pose barriers to achieving efficiencies. L+M has long had clinical partnerships with the Yale system. Asked about studies indicating that consolidation in other places have not led to lower prices for patients, Petrini said he wasn’t familiar with them. As for the Yale system’s prices, Petrini pointed to the need to make up for low payment rates from Medicaid and the state’s tax on hospitals, which this fiscal year is expected to draw $556 million from hospitals. He said those have offset any efficiencies achieved through scale in recent years, affecting the hospital’s ability to translate its internal savings into lower prices. “If it weren’t for the state cuts, we’d be able to cut our pricing 10 to 14 percent,” he said.